For the first Makeup Monday of 2015 I've got a brand new product from Make Up For Ever to share. If there's one thing in my daily makeup routine I can't live without, it's a good eyeliner. 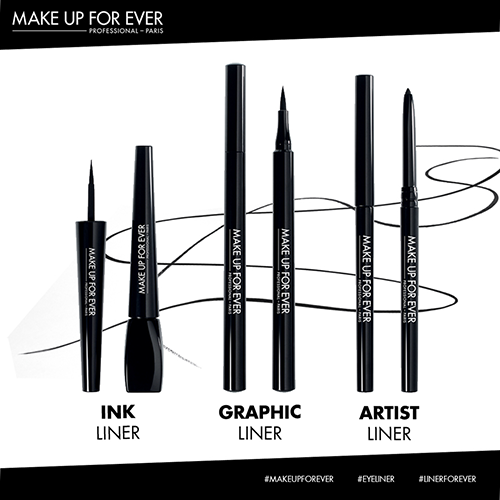 As a follow up to the release of the Artist Liner last year, Make Up For Ever has released two new jet black liners for you to add to your collection. Ink Liner is a matte black liquid liner designed for precision, while Graphic Liner delivers ultra-fine lines with ease using a felt pen tip. In my makeup routine I typically alternate between gel and fine-tipped pen liners depending on the type of look I want to create. I love pen liners primarily due to their ease of use and precision, so I was immediately drawn to the Graphic Liner. Just look at that sharp tip! Like other pen liners, the Graphic Liner is light and easy to grip. What's different about it though, is that you do not need to shake the pen in order to distribute the formula onto the felt tip. This makes it feel much lighter in your hand compared to other pen liners. The felt tip is also very stiff, unlike many other felt liners that feature a flexible tip. After testing the formula for a couple weeks I have to say I have a love-hate relationship with the Graphic Liner. 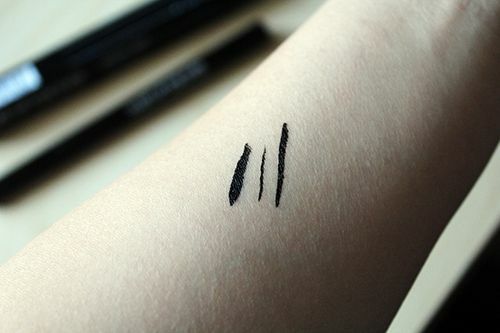 For an eyeliner, I love how pigmented and precise the lines can be. The liner doesn't run during or after application and can last a full day of wear without smudging. It's got a nice semi-gloss finish and the pen itself is lightweight and easy to use. What's there not to like? I'm not the biggest fan of the stiff felt tip which can be a bit irritating during application at specific angles. I personally like my pen liners to have a flexible tip so as to give a smooth application without feeling the pen drag across the eyelid. When the dragging occurs I find the lines are less precise and have the tendency to allow the ink to spread a bit outside of the drawn lines. 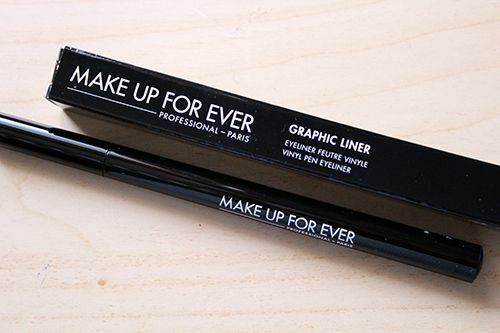 Aside from the stiff applicator, the Graphic Liner is a solid eyeliner I would definitely recommend. It's available through Make Up For Ever boutiques and Sephora across Canada for $29 CAD, which can seem pricey, but the wear time and pigment intensity is worth the investment in my books. 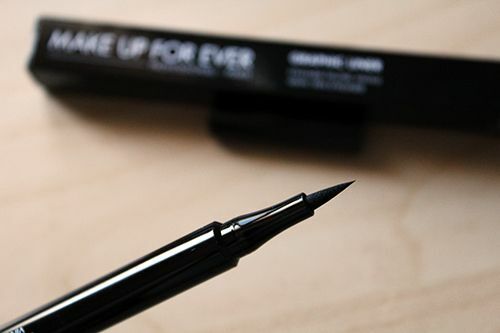 I'm considering giving the Ink Liner a try, just because it does feature a flexible tip and a matte black finish. Has anyone tried the Ink Liner? Let me know if you have and your thoughts in the comments below! After numerous meals over the holiday season my body needs to take a break from the heavy eating. Eating lighter meals without sacrificing flavour is what I aim for, and for me it usually involves getting pretty creative with salads. A couple of weeks ago I spent an afternoon with Sorrentino's to see what their solution was for post-holiday meals. For the month of January the different restaurants under the Sorrentino's Restaurant Group offer what they call the 'Back to Basics' menu. 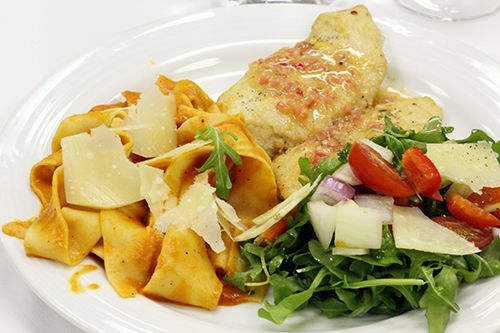 Simple, traditional Italian recipes handed down from the Rago & Saccomano families are highlighted in this menu. 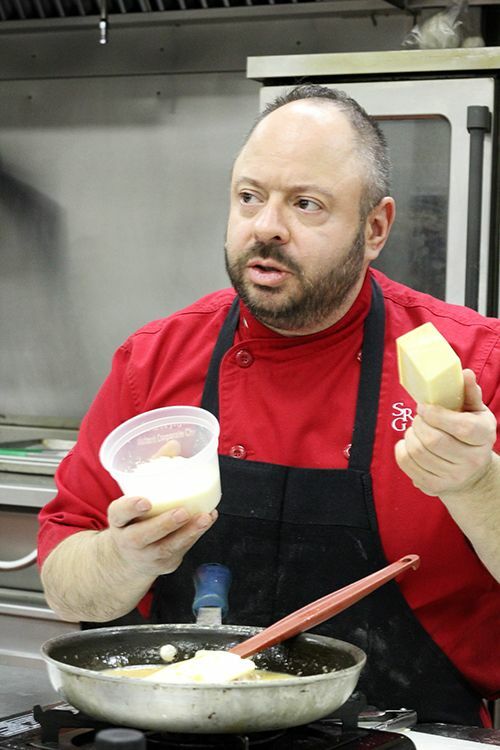 Alongside a handful of food writers and bloggers I was given a preview of the Back to Basics menu inside of the Sorrentino's cooking class kitchen, but not without first putting in some effort. 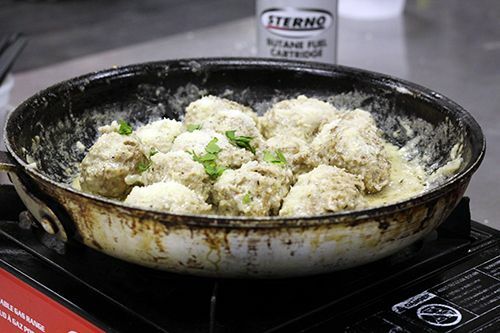 Under the watchful eyes of Chef Chris Hrynyk and Chef Claudio Tentenni, the group of us spent the afternoon practicing our kitchen skills to make fresh pasta, veal meatballs in cream sauce, and chicken piccata. If there's one thing I learned during the cooking class, it's that quality of ingredients is paramount. 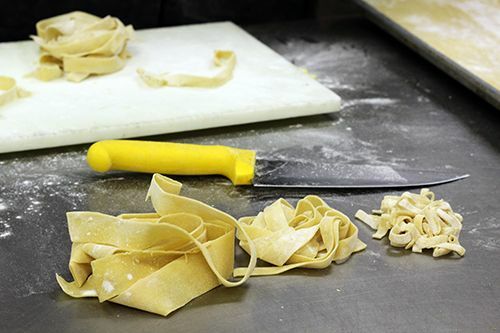 In the Sorrentino's restaurants, almost everything is made from scratch and it is so important to use the freshest, highest-quality ingredients. The hours flew by while everyone had an enjoyable afternoon in the kitchen. With a little sip of wine here, and a taste of cream sauce there, I gained some valuable skills in the kitchen and a greater appreciation for the amount of effort chefs put into their finished plates. While simple, the food we cooked was flavourful. 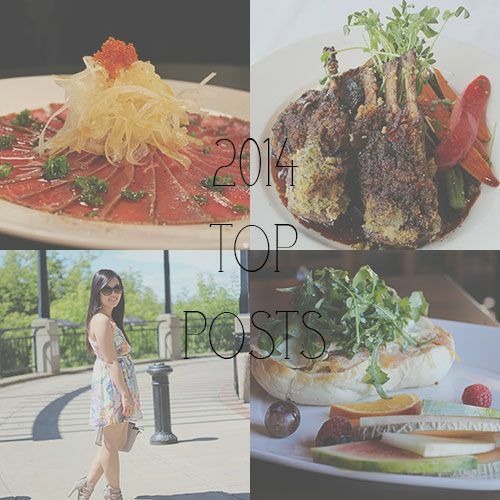 It was refreshing to have a fresh meal compared to the rich, heavy meals of the holidays. 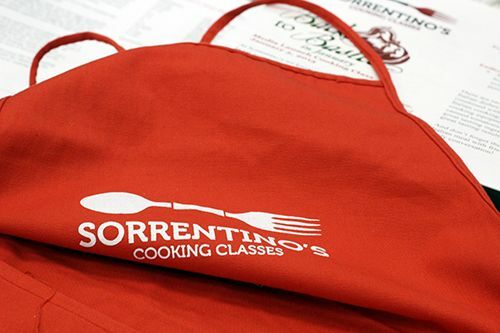 I never knew that Sorrentino's offered public cooking classes, so the afternoon spent cooking simple, traditional dishes was a pleasant surprise. The chefs were so patient and willing to share their knowledge, and of course eating the food we cooked ourselves was very rewarding. I had a wonderful time in the cooking class and would definitely return again in the future. 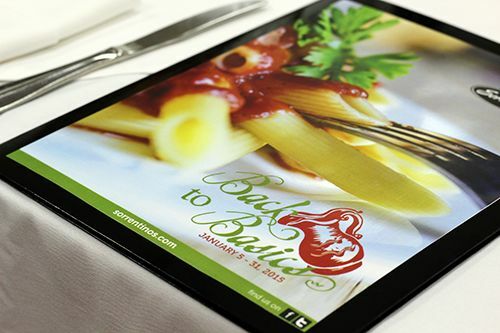 If Italian food isn't up your alley, Sorrentino's offers many other themes to their cooking classes as well. 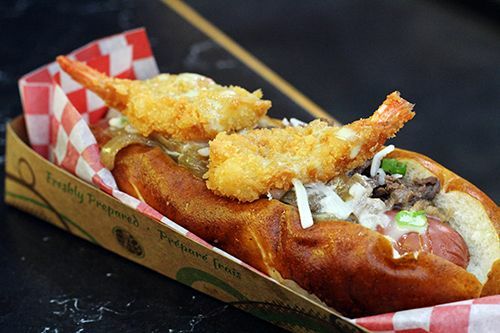 February is focusing on Spanish cuisine, while March will feature Greek food. At $85 per person per class (or cheaper if you buy a multi package! 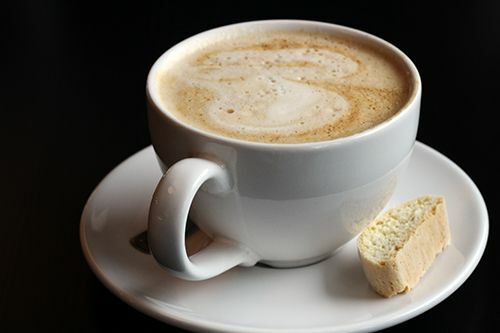 ), the cooking classes are very affordable compared to some of the options in the city. I've got my eye on their Friday date nights, where couples can register for a class at $170. Corporate team building classes are available as well, so they're able to accommodate a variety of groups. Classes sell out quick, so book soon! 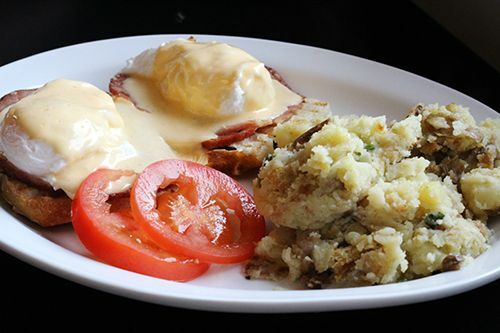 If you're interested in tasting some dishes off the Back to Basics menu it will be available until January 31, 2015, in addition to the regular menu. *Disclosure: as this was a media event, views expressed in this post are solely mine. 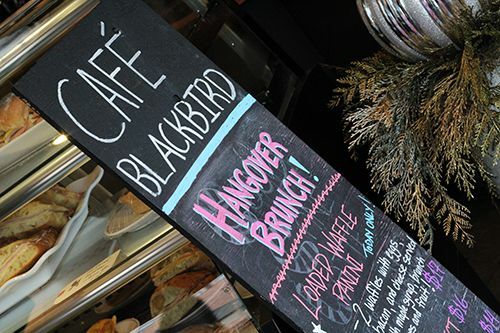 I was not expected to feature this cooking class on my blog, nor obligated to do so. This post is 100% my opinion, and as always, my priority is to you, the reader, to present an unbiased, thorough review. 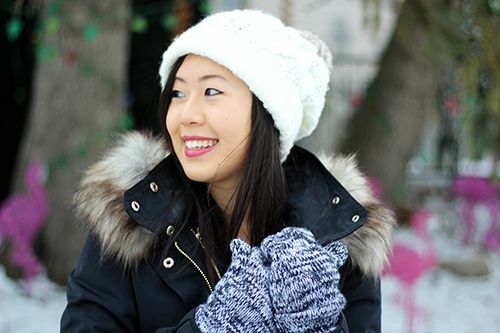 I often get asked this question: How do you stay warm in the Edmonton winter?! The answer: layers & my trusty parka. 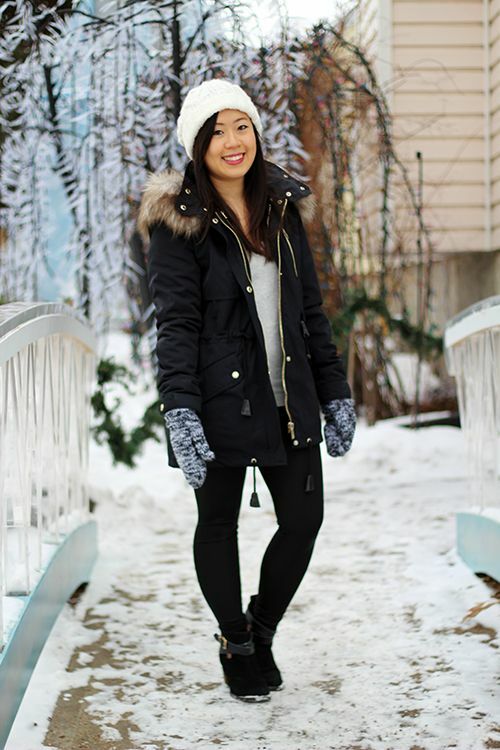 During the holiday season I came across this parka from Zara and it was basically love at first sight! I loved the army style it had and how it contrasted against the luxe gold details. It's also not your typical puffy parka either, making it stand out against the rest of the options in store. The fur on the hood is fluffy and full, and the material is water resistant. As a bonus, there's an inner lining that can unzip so that it can easily be transitioned into a lighter jacket for Spring & Fall. Dear designers at Zara: thanks for being geniuses. Love, Andrea. In all the years that I've had this blog I've never once featured my go-to spot for pho here in Edmonton. Shocking, right? There's no better time than now with the #YEGNoodleSoups series! And since Edmonton is in the middle of a deep freeze, a hot bowl of pho is the perfect remedy for cold hands and feet! When I've got a hankering for a bowl of Vietnamese noodle soup Tau Bay is the spot that I head to first. 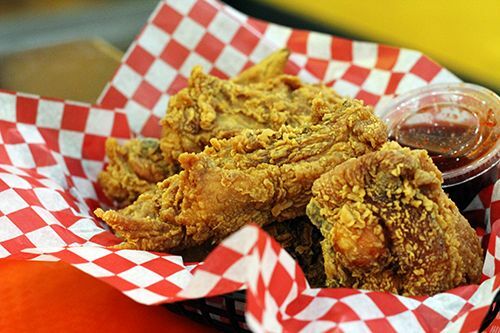 My first visit was back in my junior high days when a girlfriend of mine introduced me to it, and memories of that meal still come back to me each time I visit. When you walk into the restaurant the first thing that hits you is the smell of the fragrant broth used in each bowl of their noodle soup. 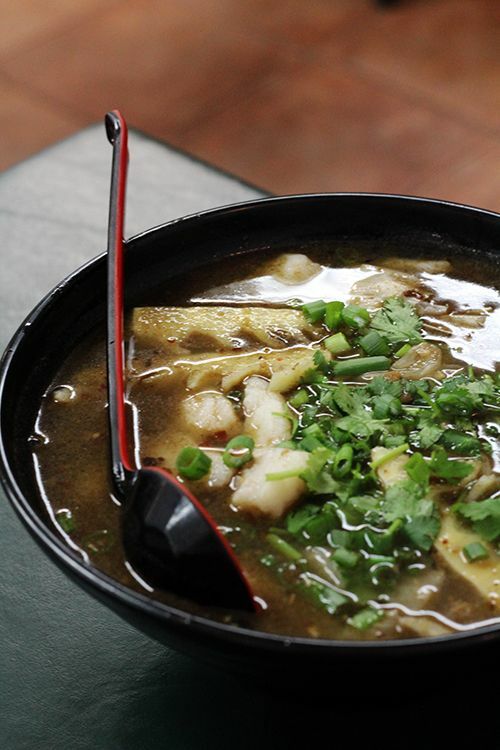 Tau Bay Restaurant serves only variations of pho noodle soup (and drinks) and nothing else - they've focused on their one specialty and execute it well every time. Tau Bay Restaurant has a huge following in this city, and I remember the days when www.istaubayopen.com was a real website started by a local Tau Bay enthusiast. 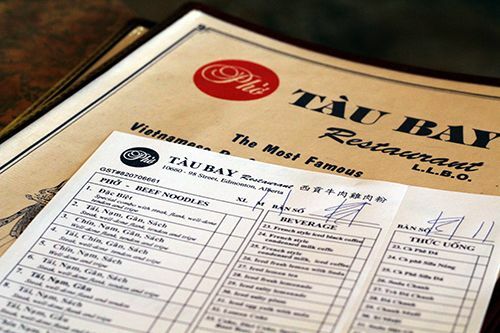 The site was made because Tau Bay is known to close randomly from time to time for family vacations back to Vietnam or just breaks for the whole restaurant staff. 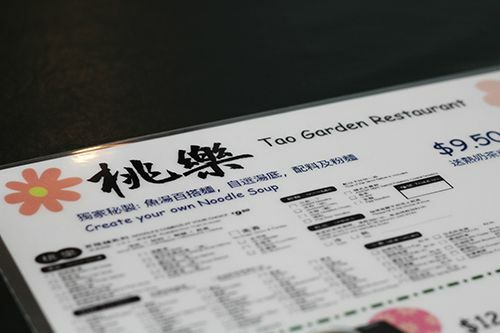 They don't run during the typical restaurant hours either, so you may anticipate a bowl of their noodle soup and become disappointed when you show up to a closed restaurant. The pho here comes in twenty different variations, all different depending on combinations of meat in the bowl. 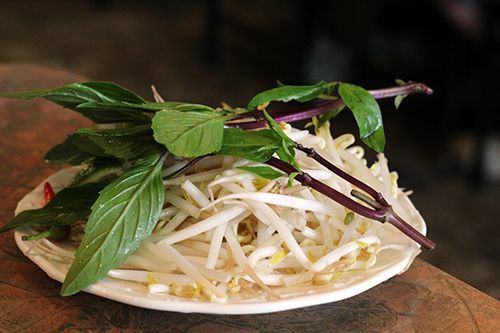 Each bowl comes in a medium ($7.50) or large ($8.50) size garnished with cilantro, green onion and onion slices, served with a plate of bean sprouts, lime wedges, Thai basil and Thai red chilies. It's the standard fixins you get with your pho, and the pricing is on par with other Vietnamese restaurants in Chinatown. 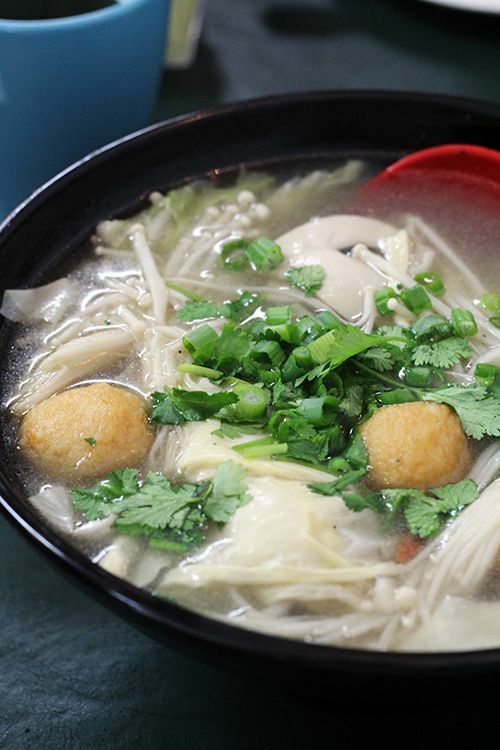 What I find sets Tau Bay apart from the rest is the broth. The broth is fragrant, has a meaty depth to it and has just the right amount of fat that makes it smooth but not overly oily. There is a delicate sweetness to the broth that I really enjoy and the combination of herbs they use just suits my palate. The rice noodles are cooked to a nice al dente consistency and every bite is great down to the very last drop of soup. 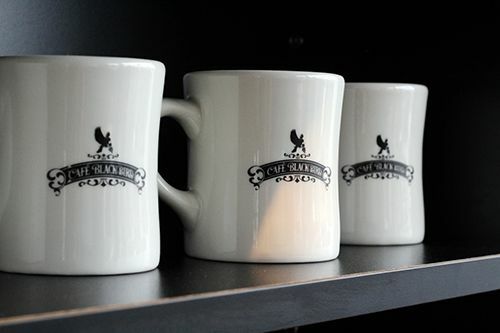 The staff are friendly, and like many other restaurants, you don't get much service. 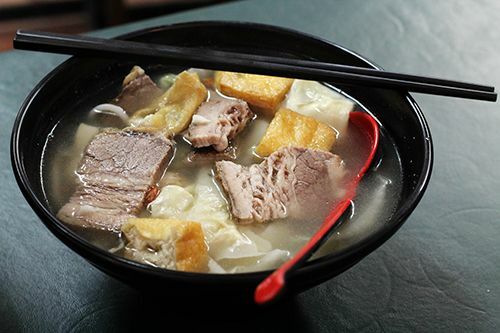 But for a restaurant where I just want to stop by to warm up quick with a bowl of noodle soup, Tau Bay Restaurant fits the bill. King Noodle House is another Vietnamese restaurant in Chinatown loved by Edmontonians, and their pho is a close second for me. 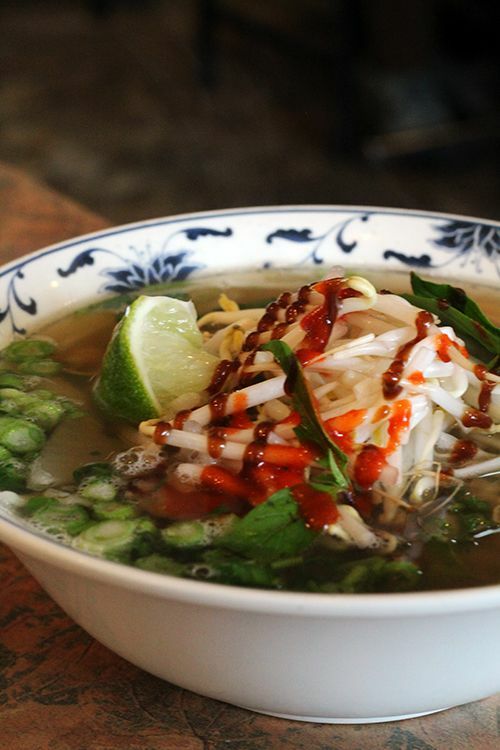 Where is your go-to pho place? Let me know and I would love to try it out! As 2014 has come to a close, I wanted to take a look back on this past year to reflect and see how far I've come, not only in my life as a blogger but as a person as a whole. 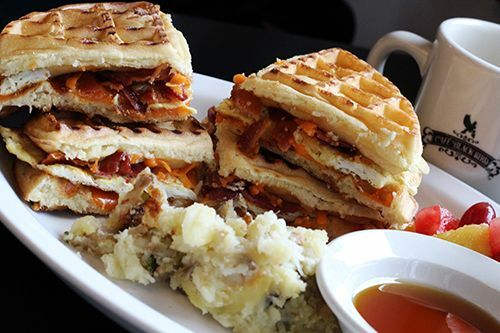 This tells me two things: you guys love food, and love that I take on the calories for you! 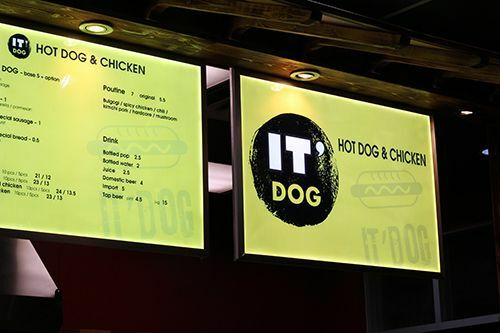 Jokes aside, it has been a year where the food scene has seen significant growth in support of local producers, and sustainability has become an important factor that influences where people choose to eat. I can't wait to see how things progress in the upcoming year. On a more personal note, you may have noticed that I have been posting less frequently - largely due to the fact that this past year has been incredibly busy for me. This summer I completed my final practicum, attained my second university degree, wrote and passed my licensing exam, and scored my dream job in the healthcare field. Adjusting to a new job (not to mention new lifestyle!) while juggling family, relationships, and blogging has been challenging to say the least. I've learned to become more responsible and (try to) manage my time better, and I hope to work towards posting as frequently as I used to. I will be doing my best to remain on a consistent posting schedule, and you can hold me to it! Thanks for sticking it out with me on this journey and for your continued support and readership. I couldn't be where I am today without you! Here's to continued personal growth and gaining more calories from delicious eats in the year ahead. 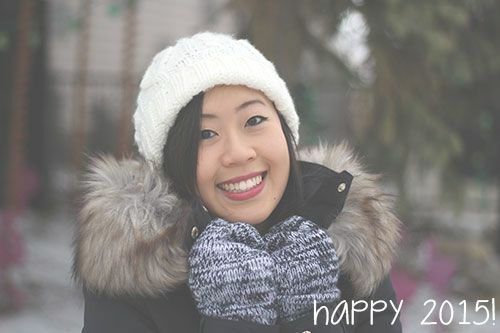 Hope your 2015 is full of joy, good health and happiness.